Welcome to the 2016 edition of the Birmingham Bloomfield Chamber Membership Directory and Community Resource Guide. 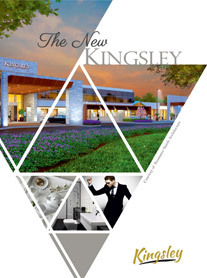 Serving the communities of Birmingham, Bloomfield Township, Bloomfield Hills, Beverly Hills, Bingham Farms and Franklin, this directory has become a staple for businesses, residents and visitors to seek out business referrals, municipal contacts and exciting events throughout our wonderful communities. This year, we are excited to introduce our new publishing partners, Town Square Publications. Not only did the team at Town Square play a key role in the design and printing of this directory, available both in print and digital format, but also is producing our soon-to-launch BBC-focused App as well, providing our member businesses and area residents more ways than ever to quickly find important Chamber news and events. Stay tuned for further details and a launch date for the BBC App. The Birmingham Bloomfield Chamber is well known in our communities and throughout southeast Michigan for the top-notch programs and services we deliver to our 700-plus members, as well as the entire region. That’s why we are excited to share this membership directory and community resource guide with our friends and neighbors. • Keep our members and local residents informed how the BBC is working to improve the overall business climate in our member communities. • Assist our members in generating new business through referrals and build stronger relationships within their professional circles. • Educate business and individuals about the benefits of living and doing business in our member communities. • Provide fingertip access to important information about our region. We hope you use the membership directory included in the directory when making your purchasing decisions. When you support the businesses that support the BBC, you demonstrate your commitment to the prosperity of our communities. 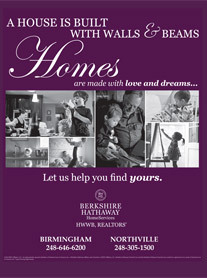 The greater Birmingham Bloomfield community is a terrific place to live, work, play and raise a family. A strong business community is essential to maintaining the outstanding quality of life our residents enjoy. YOUR Chamber of Action, IN Action!